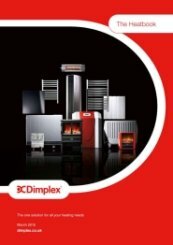 The world largest manufacturer of electrical heating, Dimplex is a subsidiary of the Glen Dimplex Group, a highly experienced company of 70 years. The market leader in creation and manufacture, They stand by the words ‘Creating comfort by design’, utilising deep-rooted expertise which is continually invested in to new ideas. Winners of numerous awards, their products are reliable and diverse. 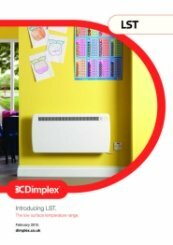 The words Dimplex Electric Heater has become a well known phrase throughout the UK. 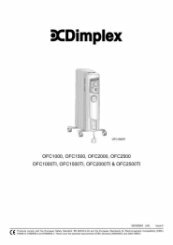 Heater Shop supplies a wide range of Dimplex electric heaters, catering for a variety of consumer needs. With a huge manufacturing base and still ongoing expansion, the group is continually building brands and providing customers with necessary products. 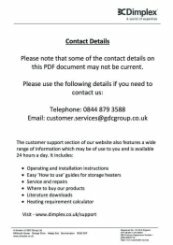 The group’s businesses operate to the highest standards of efficiency, quality and ethics, delivering absolute focus on customers’ needs. 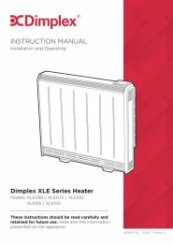 Attempting to corner the market, Dimplex’s smart electric heaters utilise the latest technology to keep up with a quickly-evolving world. Over the course of nearly 70 years, they have built a portfolio of some 700 products. 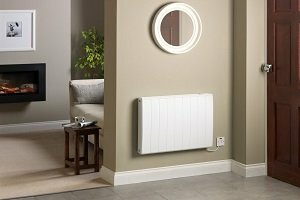 During this time, they have managed to blend affordability with attractively designed heating solutions that are efficient, reliable and durable. 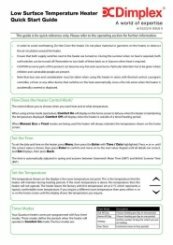 This unrivaled experience, combined with an unmatched reputation for quality, reliability and innovation, is why Dimplex heaters remain a market leader in electric heating. 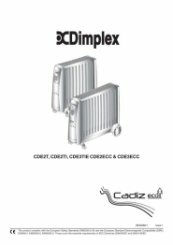 Their electric radiators feature dual-element technology and a top-sided grille design ensuring thorough warmth through the space. 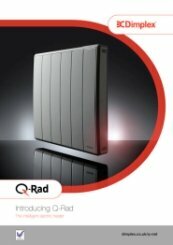 The Q-Rad range is a technologically advanced heater, offering full 24/7 timer control and customisable programmes. 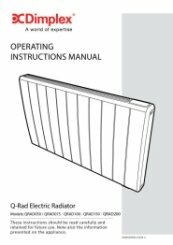 You are able to maintain an accurate room temperature with its exceptional electronic thermostat; the Q-Rad self-regulates to avoid overshooting and energy wastage. 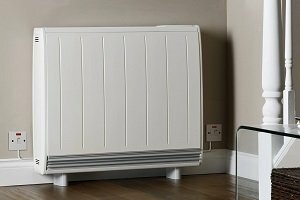 Overall, their best selling electric radiators are attractive, efficient and ideal for household heating. 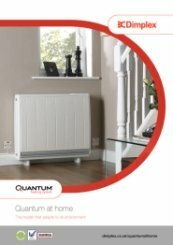 They have been leading manufacturing in storage heating for decades, enabling them to create some of the best storage heaters on the market. 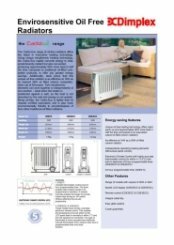 Their storage heaters can retain heat throughout the day, making use of cheaper night time energy tariffs. 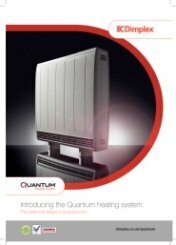 A great cost saving solution, the Quantum is 27% cheaper to run than the average model. 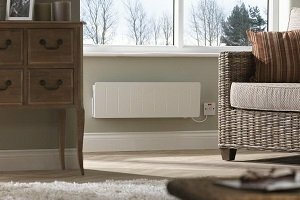 Their range have revolutionised the traditional storage heater archetype by instead being able to be used at any time through their seven day programmer. Heat is always available through the boost function which activates the inbuilt versatile element, or alternatively holiday mode can be utilised to limit energy wastage. 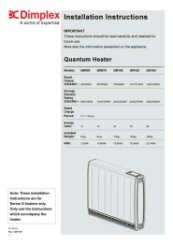 Their unuique panel heaters are powerful, effective, but also employ a range of safety features. 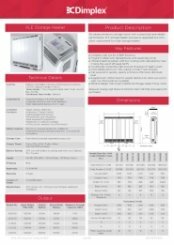 Its sensors regulate surface temperature and its low speed fan enables rapid and even heat distribution. They utilise a delayed start anticipatory control, dubbed ‘eco-start’ for improved overall performance. The panel heaters feature a LCD display which can be digitally controlled, proving reading and target temperature settings. The ranges work around the clock, automatically applying continuous heat modes, such as eco and frost protect. 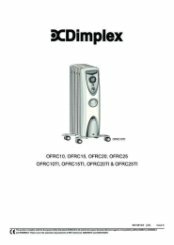 Heater Shop also supplies a range of their portable heaters. 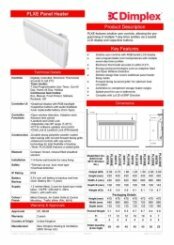 Adding to the existing heater system, their affordable standalone heaters can be easily stored without risk of deterioration. 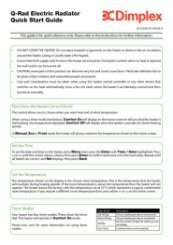 Each possess a high IP rating, hence are applicable for water prominent areas such as the greenhouse. 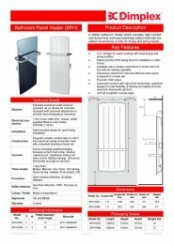 They hold an extended warranty and are made from reliable components, offering a robust and durable structure. Overall, their portable heaters are attractive and effective, ideal for immediate household heating. 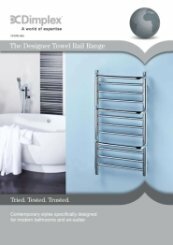 Their towel rails are varied in design and sophistication. 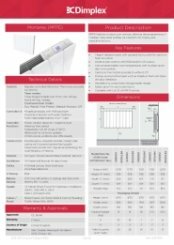 Instant options include the S range and the TTR, both are robust and maintenance free. 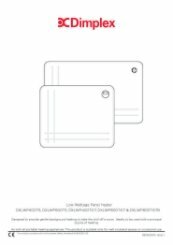 The traditional ladder style is provided alongside the ultramodern BPH which features a mirror glass variant for added luxury and a 3-in-1, bathroom solution. 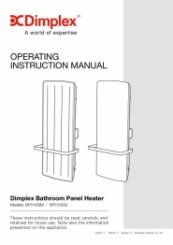 The towel rails feature a safety cut out mechanism which prevents the product from overheating. 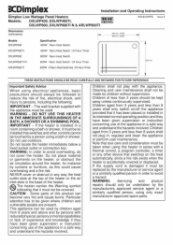 The rail’s surface temperature is limited to prevent harm yet still dry wet towels effectively. 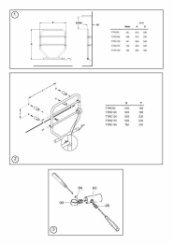 Installation is quick and simple, as a fixing template and instructions are provided. They have a policy of investing continuously in every area of the business; from product development right through to customer service. No one else in the industry invests more in developing products that constantly set new standards. Testament to this, is their central design facility and research teams in the factories throughout the British Isles. Their investment in people, training and resources is reflected in the quality of their products and in the standard of their sales service. 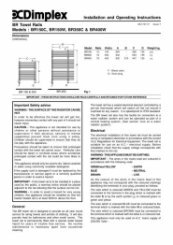 As part of their commitment to product quality, they also apply stringent controls to every part of the manufacturing process and are ISO 9002 approved. 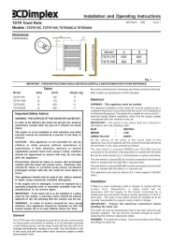 As well as the above, many of the their products are BEAB approved. 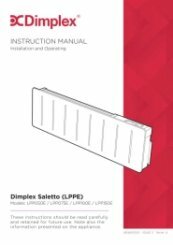 Do the Dimplex heaters need maintenance? 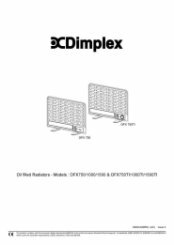 The Dimplex panel heaters are maintenance free. 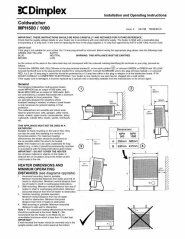 Do not use abrasive products or solvents for cleaning the Dimplex electrical radiator. 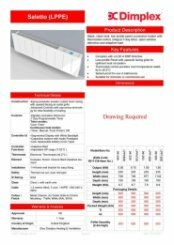 Clean and dust with a dry soft cloth only when the unit is disconnected and cold. The outside can be cleaned by wiping it over with a soft damp cloth and then dried. 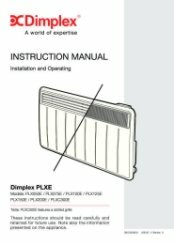 Do the Dimplex PLX range panel heaters have a frost protection setting? 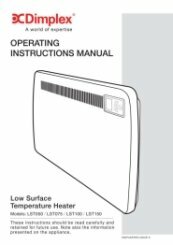 All of our Dimplex panel heaters incorporate a frost protection setting (apart from the non-control version, however these can be controlled remotely by a central controller which will likely have a similar setting). Efficient, attractive and easy to use. Love it. 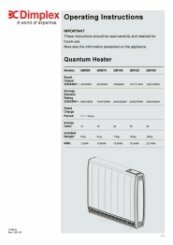 I am a returning customer and now have 4 heaters from you. Delighted with them and the efficient service and packaging is second to none. Super efficient sales service. Dispatched within half an hour of ordering. Delivered next day in a predetermined one hour time slot and brought into my apartment. It’s good looking, the controls are simple to use and it belts out the heat. I’m so impressed that I have ordered and received two more. So pleased, I bought two more! Amazing service. An email arrived within half an hour of ordering to tell me that the heater had been dispatched. It arrived the following day in an hour time slot given to me that morning. The heater was very very well packaged. It looks amazing and, despite its size, it belts out the heat! The controls are easy to use. I am so delighted that I have ordered and received another two. Thank you very much for your really great service review and we appreciate your fantastic comments. Why can't they make something simple? What I wanted was a convector economy 7 storage heater, but it seems they all have fans now and every other option as well. 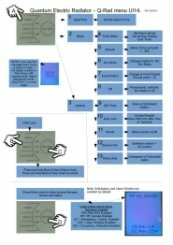 Some options, if used could draw on peak time power! not why you buy a storage heater. The heater also requires a separate hard wired socket to 24hr supply, to enable the above I guess. Settings are many I found it difficult to reach the one I wanted in several instances. 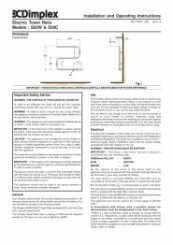 An on/off knob with a 1-6 heat output choice would have been perfectly adequate. Best price, delivered when said.